Very Nice Just installed this on my Manjaro xfce rig & it looks great with the Numix-uTouch icon theme, although I would like to know which icon theme you are using in the screenie, still great anyway. 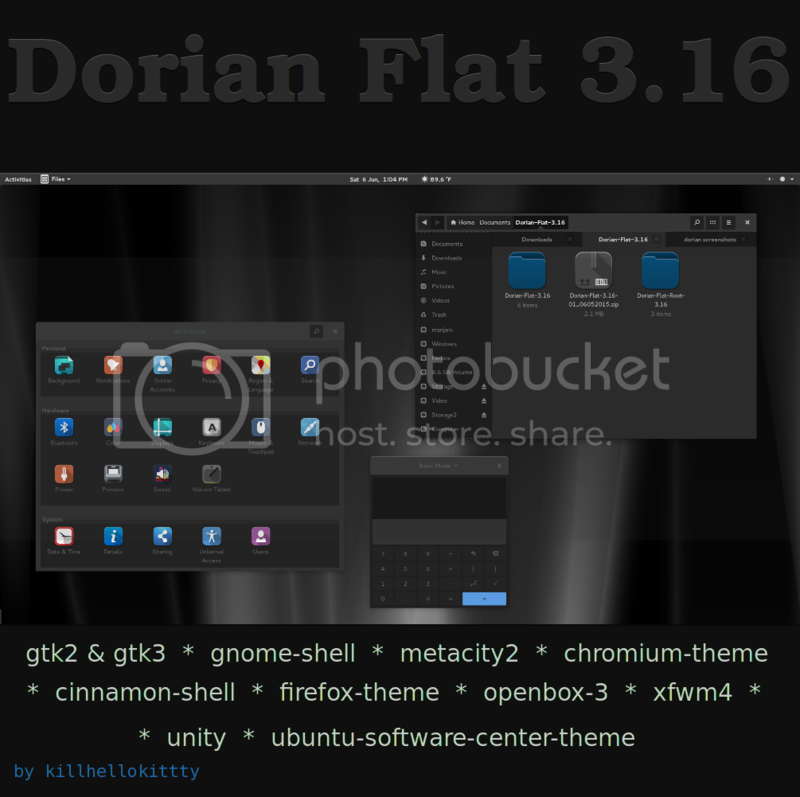 This is another excellent theme for one of the VERY best themes-creators for Linux, Period! I'm so glad to see your work here, my friend. Paz, you are always so kind. Thank You! If you are using it just for openbox with gtk2 apps you shouldn't have any problems. Its that always changing gtk3 that gives all the trouble. Just saying the truth, and you’re most welcome, Josh! You are the original creator of the Dorian themes. Whoa. Took me a while to figure that out. I second Paz--you're in the top tier of theme creators for Linux and a reference point.